If you have never tried Free Motion Quilting, love to Free Motion Quilt or even hate Free Motion Quilting – you MUST see the new Westalee Free Motion Quilting Templates and ruler foot. 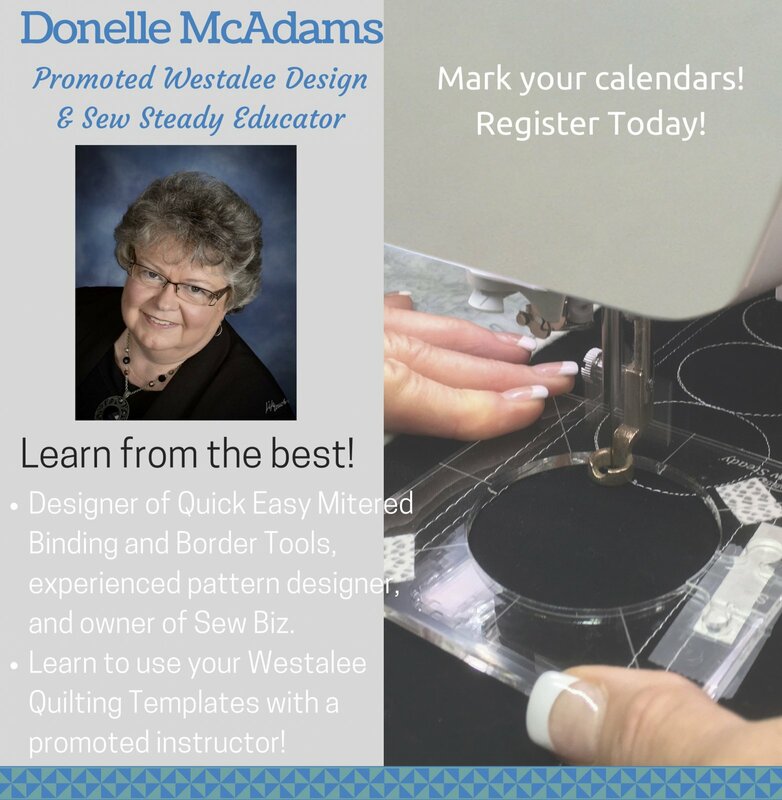 Join Donelle McAdams, Westalee Educator, as she shows you why she fell in LOVE with Free Motion Quilting! All Supplies and Lunch included. All you need is your sewing machine.